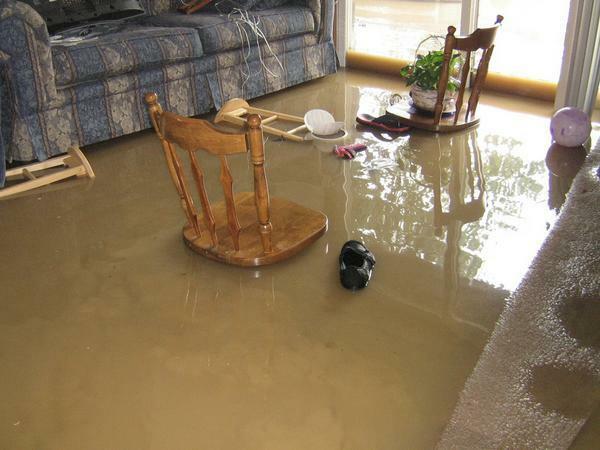 Flood damages in our homes is something we all experience at some point in our lives. It could be caused from something as simple as an overflowing bathtub or something more serious such as a burst pipe or sewerage pipe rupture. Flood damages to your home can range from minor to severe and dealing with the issue can be tiresome and even dangerous. While some water issues cannot be foreseen, there are a few things you can do to prevent Flood damages to your home from factors you have some control over. Clean your down-spouts and gutters: Make sure to clean out your gutters at least once every six months or more often if you have a lot of trees in the area. When water collects in the gutters it can cause damage to your roof and the gutters themselves. Down-spouts that aren’t clean and checked to ensure the water is running off properly and is running away from your house, can cause damage to walls and even your foundations. Remove hoses from taps when not in use: When the water does not drain out of your hose, it could freeze inside of it. This in turn could freeze back into the tap and pipes. The solid ice could cause an ice block, preventing water from moving through the pipe but it could also cause the pipe to burst, which could cause damage to your property. Switch off the mains: If you are going on vacation or you are going to be away for a length of time, switch the water off at the mains. This will stop any dripping or other water issues while you are away. You wouldn’t want to come home to water rushing out your front door to greet you. Keep your garden in check: Trees and shrubs can cause damage to your pipes from the roots wrapping around the pipes. Keep your garden maintained and no large plants near piping. In a smaller garden it is often best to avoid trees all together. Fix the leaks: A small leak can become a big water damage problem if not dealt with as soon as possible. Even tiny drips can cause mildew and mold in your home and even lead to structural damage and dry rot over an extended period of time. If you fix the leaks as they occur, you have less likelihood of the small issue becoming a huge problem later. If you have a sudden spike in your water bill, make sure you investigate for underground water leaks as well. Check the appliances: Monitor appliances for leaks and replace any cracked and brittle piping. Things like a dishwasher or washing machine can flood your house out quickly if the appliance is not maintained adequately. Keep your water pressure under control: Most systems are designed to handle water pressure of around 50 to 60 psi. Check your pressure with a water pressure gauge. If the pressure is a lot higher than this (90-100 psi plus), you should look at investing in a pressure regulator to reduce the water pressure in your system.